There is an interesting situation arising in Minnesota. With housing prices soaring, low wage workers are left in a situation where they cannot afford to keep a roof over their heads. It is an economic epidemic and it has left the government scrambling for a solution. That solution may be right in front of them, staring them down. 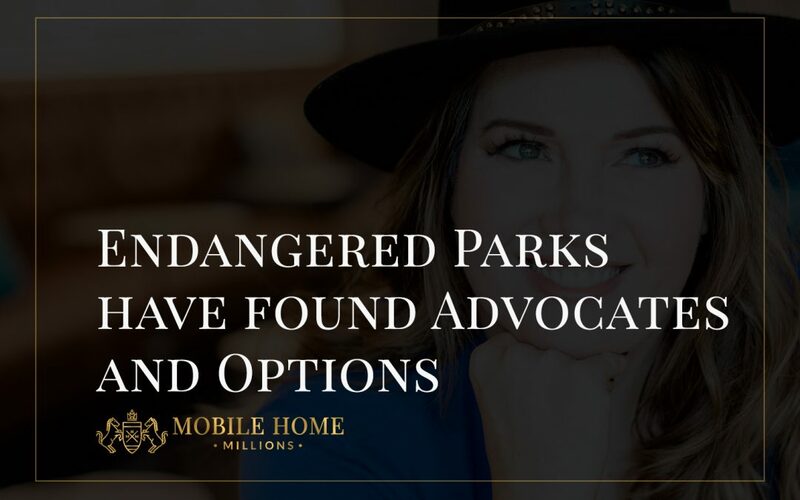 Mobile home parks are already being advocated by groups who have recognized them as endangered, their numbers dwindling and little hope in sight as one park after another shuts down, its inhabitants left to fend for themselves. It’s a solution the Minnesota government can embrace, and in saving these parks, they may find a life raft for their own dilemma. Since 1985, there have been 15 mobile home park closures in the metropolitan area alone. Ten other parks are pegged for potential closure as well and are considered “endangered”. The reason for the lack of upkeep and eventual closures of the parks is because sewers, roads and water pipes have a lifespan typically not lasting more than 50 years. Guess when these parks were built? It isn’t cost effective to many investors to put their money into restoring the parks when they would also have the massive costs of the depreciated property to restore as well. There is more money to be had by selling to developers who can tear down and rebuild, higher-priced units, shopping malls and the like. A group formed a couple of years ago, comprised of around 30 legislators pushing for options for these parks, to keep them open and to keep their residents in them. Some options are allowing the residents to make a united effort and purchase the properties, another is revising current funding used for building new affordable housing units and instead using those funds for improvements to the existing infrastructure. The answer seems like an obvious one. Currently, there’s only enough affordable housing available to meet the needs of 40 percent of the population. Mobile harms offer more space and are a far more affordable option. As we see the benefit of investing and improving upon mobile homes, it is a positive thing to see that the rest of the nation is recognizing the benefit of these homes and is pushing to continue providing safe and quality housing to low-income individuals. I encourage you to register for my upcoming LIVE webinar about How To Easily Buy & Sell Mobile Homes with NOTHING DOWN… whether you’re just starting out or a seasoned expert – register for free here! "How To Easily Buy & Sell Mobile Homes With Nothing Down..."